Once upon a time in a little house across from Pine Tree Plaza on Buford Highway sat one of my favorite foot massage spots. I frequented the Vietnamese-owned spa for many years, even after a particularly rough massage session left me with bruises all over my back way too close to my wedding day. Today, the once dark space crowded with black leather massage chairs is home to an exciting new Chinese restaurant that has some of the best Sichuan food I have found inside the perimeter in recent memory. I am a creature of habit when it comes to Sichuan food and flock to comforts such as wontons in chili oil and cold noodles, both of which here were excellent. 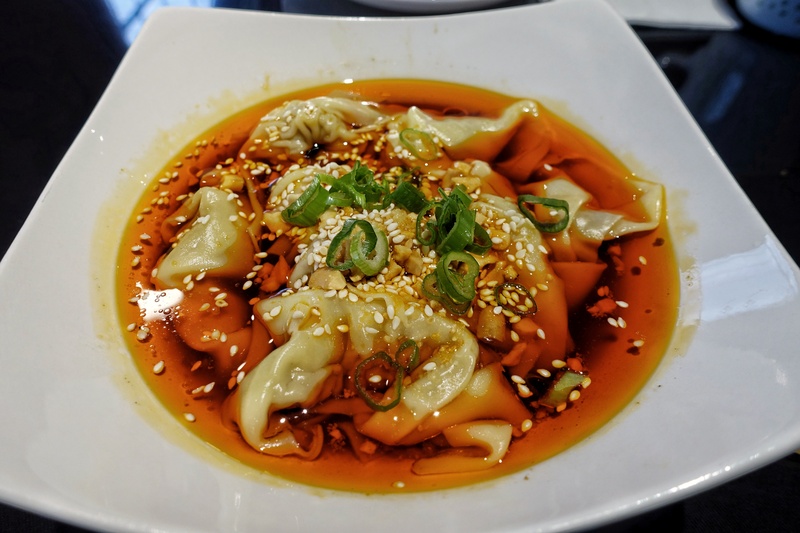 The wonton skins were supple, perfumed with sesame oil, and each bite had just enough spice from a slick of flame red chili oil. The thin flour noodles were al dente and simultaneously rang with vinegar that numbed with the tell-tale hum of Sichuan peppercorns. 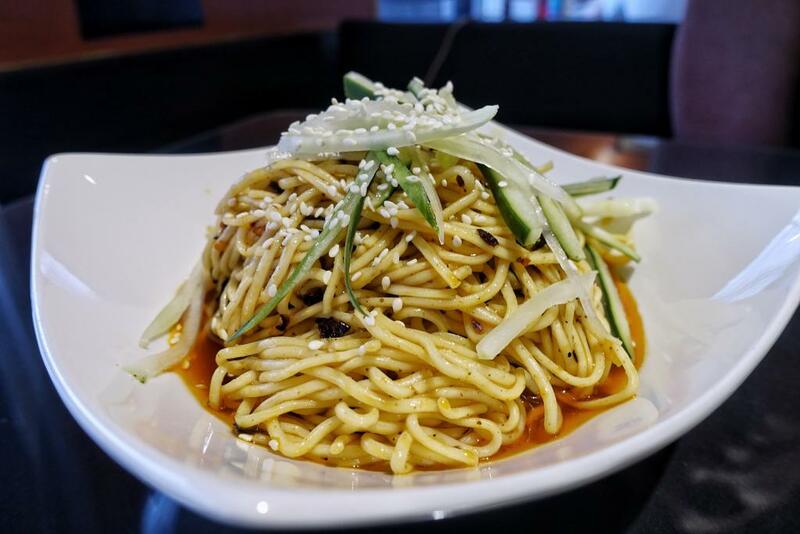 They were probably my favorite dish, although, as you know if you’ve been following my writing, I sort of have a thing for noodles. During this visit, I went a little crazy with the fried stuff. 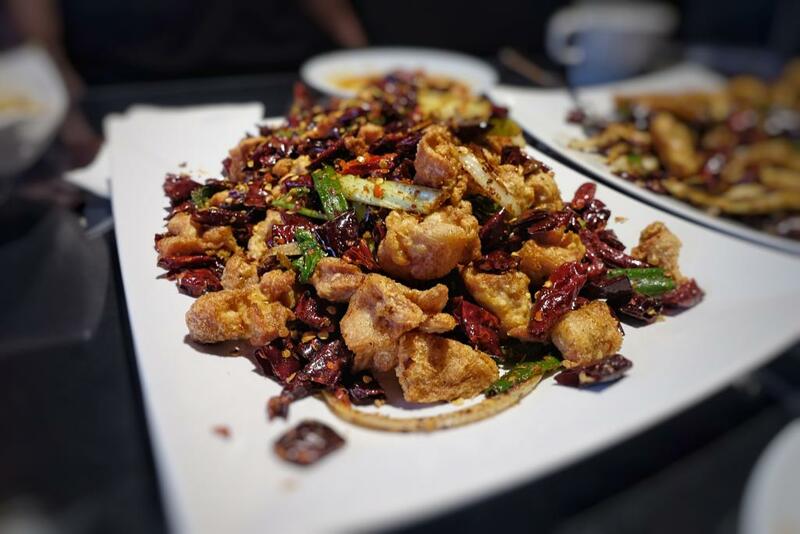 The dry-fried eggplant (a staple of Sichuan cuisine where eggplant is cut into batons and fried with red chilies, Sichuan peppercorns, and topped with green onions, among other things) was as good as any version I had at Tasty China back in its heyday. The Yummy Spicy chicken had a crunch that reminded me of Mexican chicharrones (fried pork skins)—and tastes a little like them too. Perhaps Yummy Spicy double fries the chicken to render the fat a little more? The hot fried crab was also a showstopper (which surprised me, as many crab dishes are more work than they are worth). 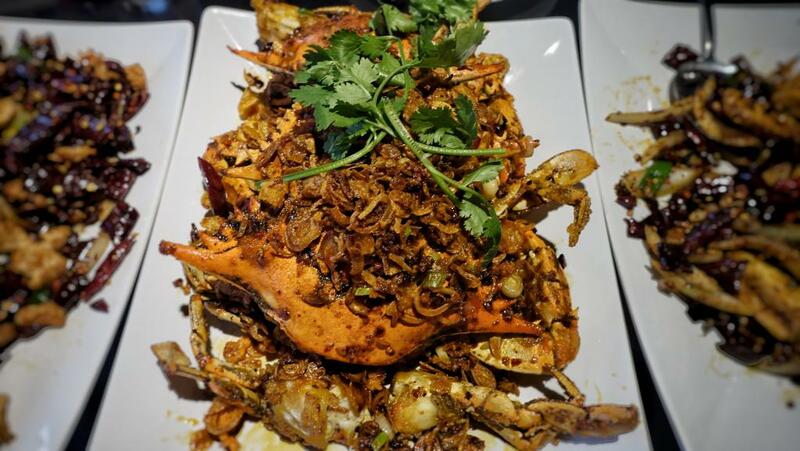 The crispy blue crab was topped with a blanket of thinly sliced fried garlic and shallots that tangled with my chopsticks as I dug into the crustacean, hunting for meat. The restaurant gives you crackers and small forks to use, too, but I found chopsticks easier to maneuver once the shell was cracked.